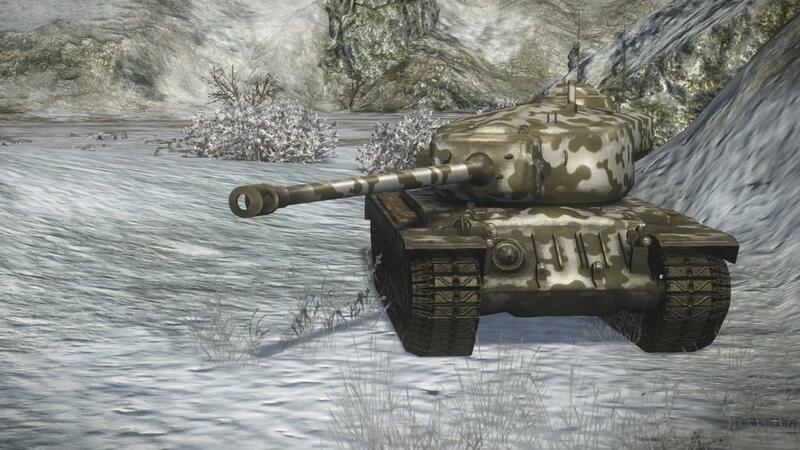 World of Tanks: Xbox 360 Edition can be a few different things. It’s a shoving match. It’s hide and seek. It’s tug of war. It’s the silent game, cat and mouse, and mixed martial arts. It’s all of these things, wrapped in a few dozen milimeters of steel, topped with a gun, and rolling over urban and rural zoning districts near you. Between tracking your vehicle’s capabilities, gauging your personal skill, and monitoring conditions on the battlefield, World of Tanks asks a lot of its players. It just happens to have some of the most winning gameplay available on Xbox 360. 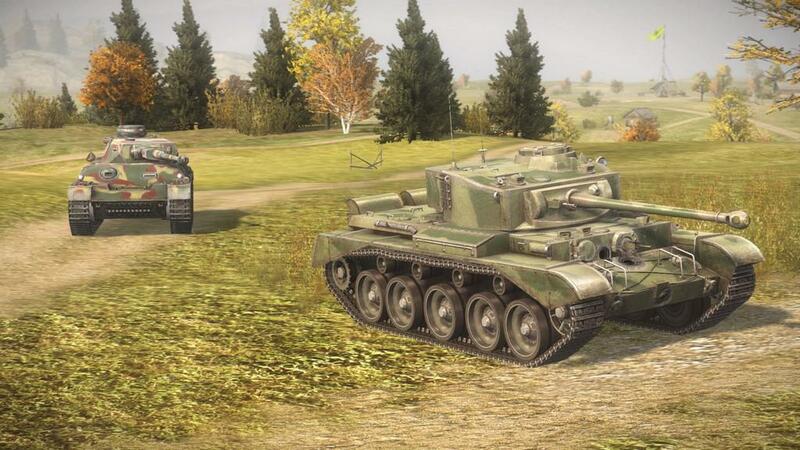 At its most basic, however, World of Tanks is a free-to-play online multiplayer tank combat simulator. A “simulator” with concessions made for fun and accessibility, sure, but there’s a meaningful learning curve when figuring out the clutch on each type of tank. When it comes to fighting on the ground, tanks are the largest land-dwelling carnivores on the planet. They’re nothing but a gun on wheels, which makes them highly specialized pieces of equipment — and they’re very good at what they do. Tanks stalk the countryside, chew up the scenery, and swallow other tanks for breakfast. You’re here to drive one of those tanks, working your way up a tech tree of unlockable vehicles, decimating your opposition along the way. Get ready for good times. Those good times are meted out in 15-vs-15 matches, each one scheduled for 15 minutes, but most lasting half that time. Developer Wargaming owns excellent matchmaking servers working 24 hours a day to slide a reasonable array of tanks across multiple tiers onto a random battle map. I never waited longer than 60 seconds for the matchmaker to fit me into a fight, though most days it took only half that. Once in a match, a five-second countdown clock starts ticking. In those few seconds, you need to assimilate a lot of information. 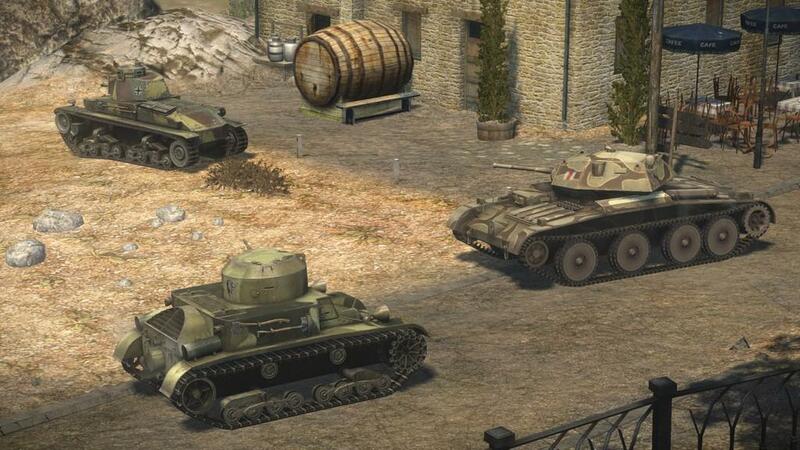 What map you’re on, what type of battle it is, your starting location, what’s your role given your team’s tank lineup, and where, exactly, you'll head first. Frankly, it’s a lot to take in. But after a dozen hours, you’ll get faster. After a dozen more hours, you’ll make better decisions based on experience. Then after a dozen more, you may start operating on muscle memory, knowing where to go and what to do, and, especially, knowing where not to go and what not to do. 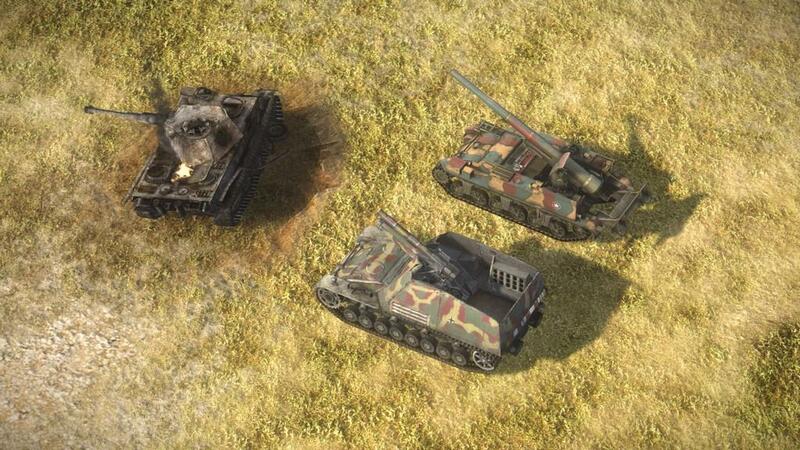 World of Tanks operates under a push and pull of decisions guiding your moves. You drive a tank (a tank, I said! ), but you have weak points. And, yes, you have those vulnerabilities, but you exploit others’ weaknesses, too. You exploit others’ weaknesses, while playing yours close to the chest. You protect yourself, but project spikes of aggression as needed. You’re aggressive, but patiently line up your shots. You get the point. Push and pull. This is how all matches go — that is, if you survive first contact with the enemy. Every tank adheres to this tug of war. Your job is to pay attention to the ebb and flow of combat over the course of each 15-minute session. From the macroscopic battle at large to the microscopic confrontations of one-on-one (or two-on-one, or five-on-one) fights that blister out across the map, you swap views to get the best angle on opponents and get the drop on targets of opportunity. Flipping between third-person tank view, first-person aiming down the gun barrel, and the tactical map, you take in split-second updates and changes to battlefield conditions. You improvise, adapt, and overcome enemy opposition. You take cover, shoot, recover, then move before you’re boxed in. 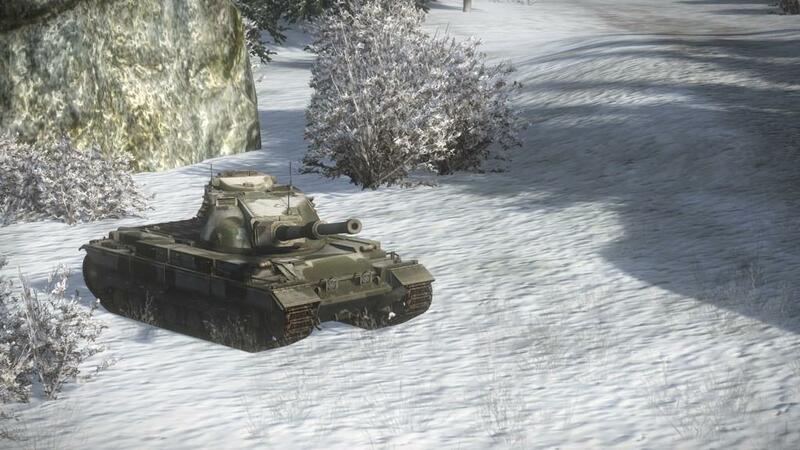 World of Tanks is the hardest-hitting stealth game on the planet right now. 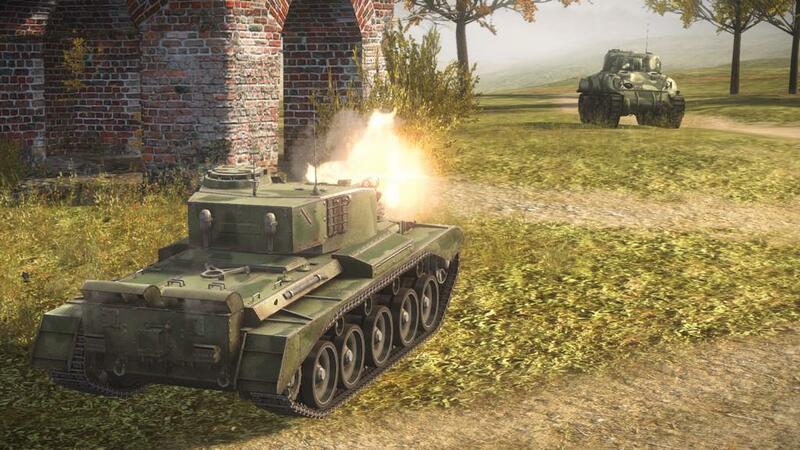 World of Tanks: Xbox 360 Edition ports the free-to-play PC phenomenon onto the Microsoft console. 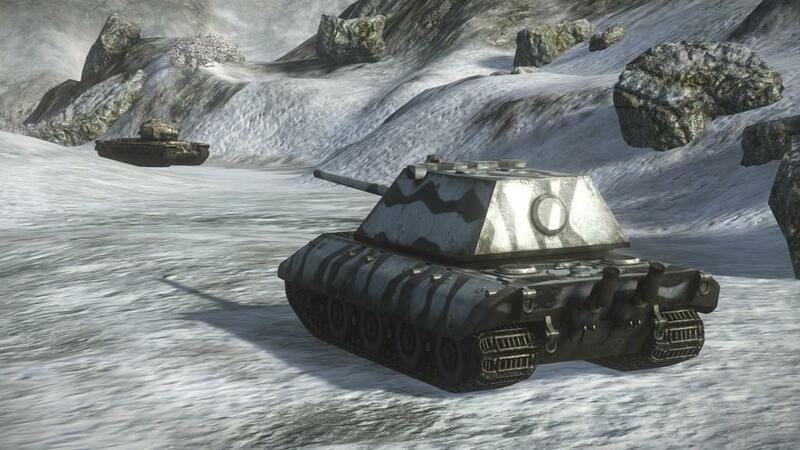 Playing on Xbox 360 requires a Gold subscription, but the game is otherwise free — with the option to purchase premium in-game tanks, equipment, and consumables with both in-game and real-world currency. You may have heard the term “pay-to-win” used as a derogatory term for this gameplay model. 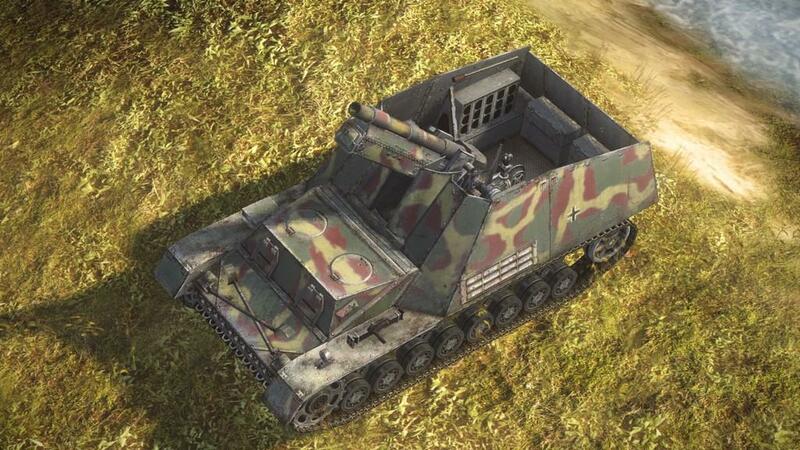 World of Tanks is not pay-to-win. You never have to spend a dime of real money, and you can play from the bottom tier to the top tier. Wargaming just wagers that some of you will fork over a few dollars, though, just to speed things up a bit, or give you an incremental advantage on the battlefield. Small advantages, however, often spell the difference between living and dying. The entire game isn’t on Xbox 360 yet. World of Tanks developed on PC over the course of three years and now has players in eight countries. It’s a big game. 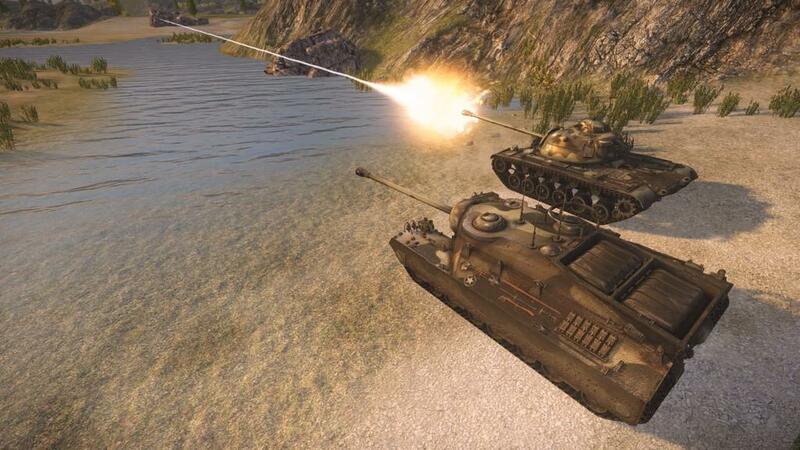 Wargaming decided not to drop the whole enchilada on Xbox 360. At least not right at launch. 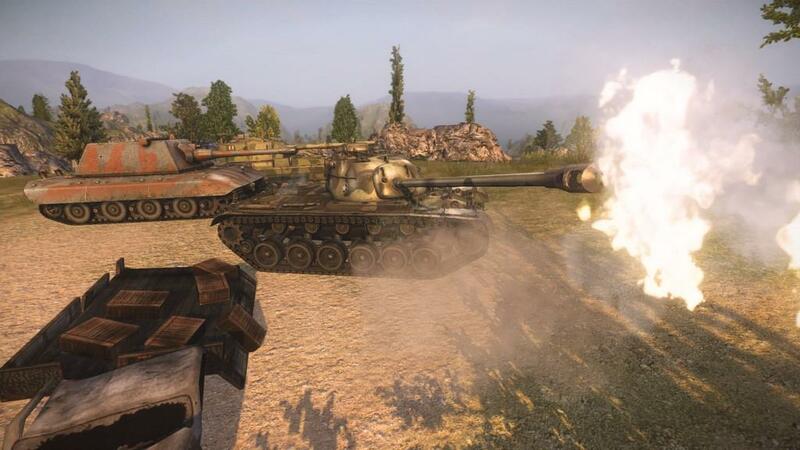 For example, PC has seven nations’ worth of tanks while Xbox 360 has three so far. Well, less actually. 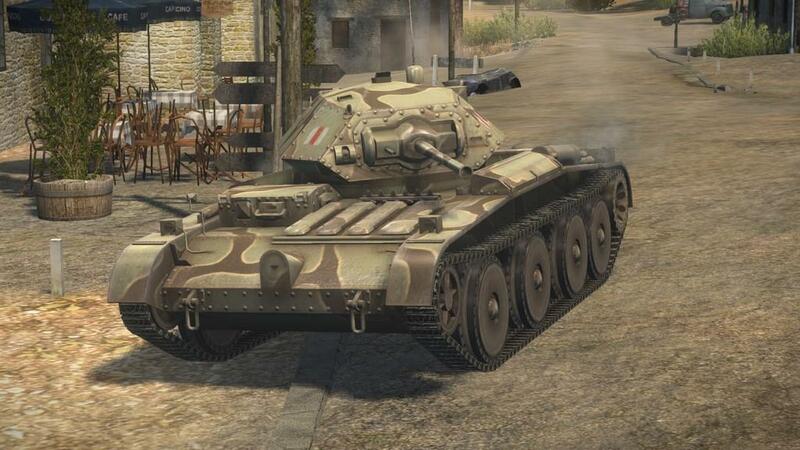 USA, UK, and Germany all have representation on Xbox 360, but the full breadth of tanks isn’t fully realized: the tank family trees are clipped. 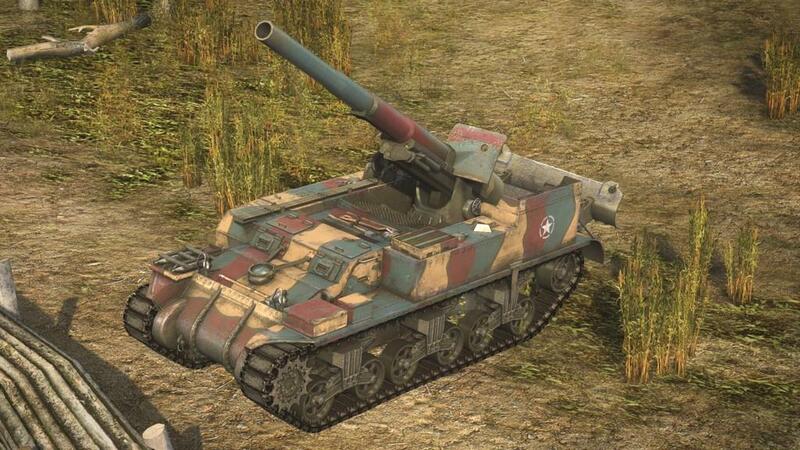 The PC’s US light tanks go all the way up to tier VII with the T71. 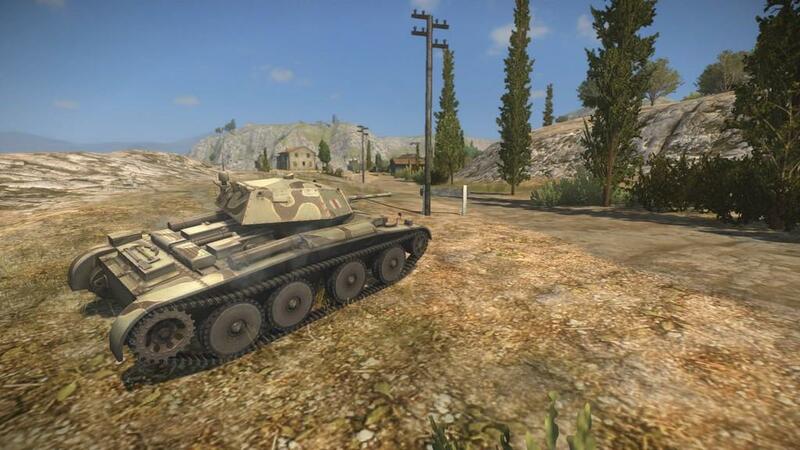 The Xbox 360’s US light tanks, however, only go up to the tier V M24 Chaffee. No doubt, Wargaming will drip feed more and more tanks and maps. But as it stands, the Xbox 360’s tree has a good-looking, wide-operating, and simple line of progression through its family of tanks. These are broad generalizations, but between the currently available nations, you can pick fast-moving but softer-hitting US tanks, slower-moving but harder-hitting German tanks, or UK tanks which seemingly run the gamut. By sheer force of probability, you’ll only be on the winning team 50 percent of the time. Flip a coin. Those are your chances of divining a victory out of the random pick-up group you’re put in. Surviving is another matter entirely. You can live through the fight but lose the objective, or you can go up in flames while your surviving teammates accomplish the mission. When the enemy pumps you so full of lead you’re looking at your washed-out tank corpse, camera hopping between your surviving teammates in spectator mode can be vindicating. How so? Perhaps you were a light tank on a scouting mission that ran into the enemy’s front line. You went boom, but stuck around and watched your side’s front line clash with theirs, knowing you gave your guys an edge by spotting the other side early. Maybe your team pressed the advantage. Maybe they strategically retreated. Your info as a spotter informed that part of the battle’s ebb and flow. Or perhaps you were artillery, posted up on high ground with a commanding view of the entire field. You went boom, but your self-propelled shells brought death from above to the other side. Nothing puts an enemy into hiding or flushes them out of poor cover faster than the whistle and shockwave of incoming artillery. The analog sticks on a gamepad are problematic on occasion. Too many times I’ve needed to throw it hard into reverse or maneuver around another tank, but my thumbs just went a few degrees the wrong direction and sent me into a backwards U-turn or had me lurching awkwardly over some piece of building geometry. W, A, S, D on a keyboard affords you precision movements, while thumbsticks give you nuanced degrees of control. Unfortunately for gamepad users, solid, reliable moves are more important than a gently arcing turn radius. The gamepad gives that to you the best it can, but it’s sometimes not enough. Also, the gameplay is (still) governed by certain laws that don’t make sense at first. Creeping into the mid and upper tiers, it becomes apparent when your gun will have zero effect on the enemy. 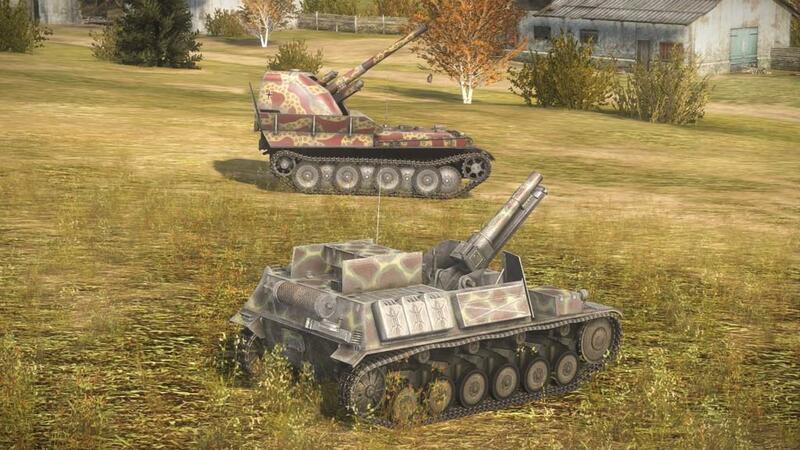 If you’re a tier V firing on a tier VII tank, you might as well save your ammo. A full red reticle — which means there’s a 100 percent probability of doing damage — doesn’t mean you’ll actually do any damage when there’s a large disparity between tiers. You can bounce shells off higher-tier enemies all day long, wondering what in the world it would take to penetrate their armor. But, instead of doing damage, you’ve just revealed your firing position, their turret is turning your direction, and you’re about to head back to the garage because this match is over for you. Learning when to keep your tank’s big mouth shut is part of the tug of war that can feel unfair when the stats dictate otherwise. World of Tanks: Xbox 360 Edition is a thrilling start to a big, world-class, compulsive, competitive, state of the art bang bang video game. When you explode, it hits you right in the gut. 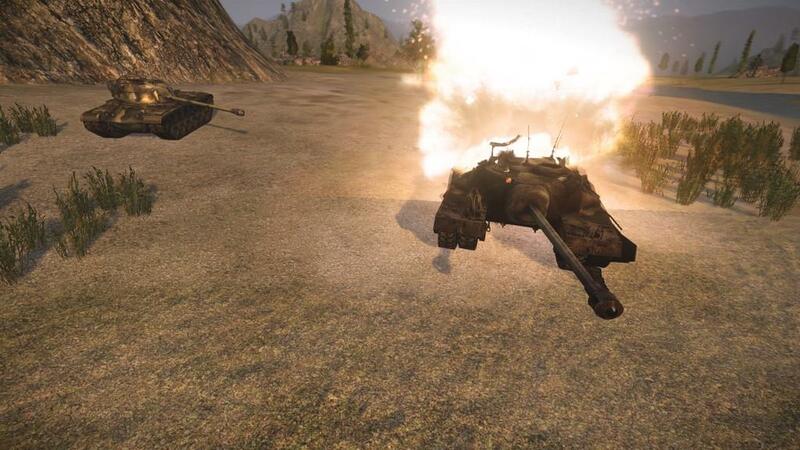 When you dead another player, nothing sounds better than their explosion followed by your tank commander saying, “Scratch another bad guy.” This is vehicular combat done right. This is free-to-play done right. This is the tank beat ‘em up you’re looking for. World of Tanks' stories are written and measured out in one shots, potshots, ramming speeds, camping grounds, slugging matches, and Hail Marys. It's a game that makes you study topography and geometry, and measure probability. It's a game of Know Your Role. It's a game that earns its rightful place in living rooms and tournament circuits alike.